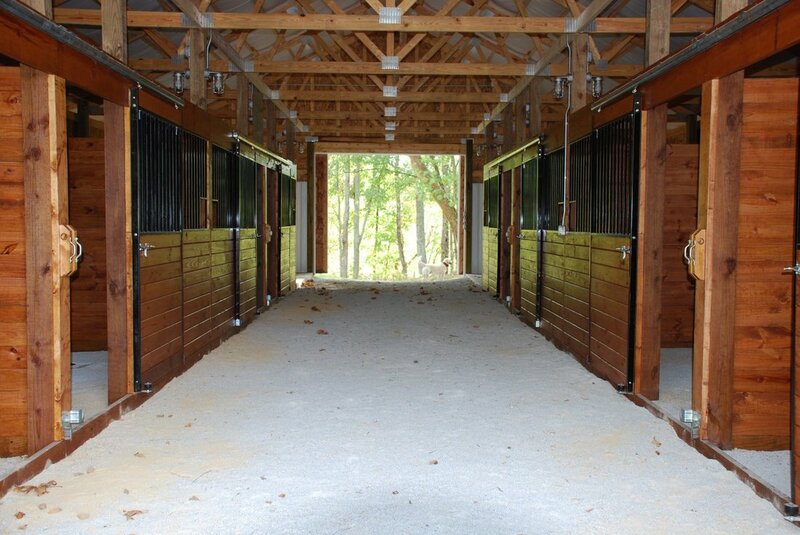 • Rates: $30.00 per horse, per night. 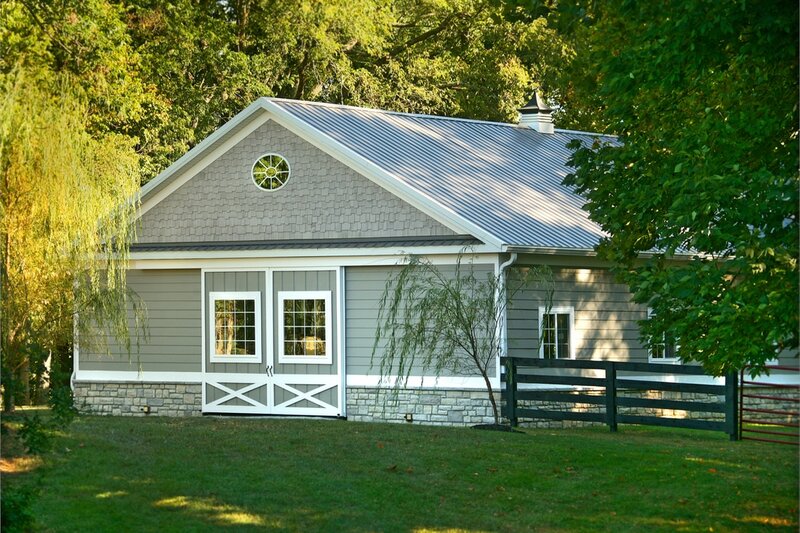 The horse barn is a great place to lodge your horse during your Kentucky horseback riding vacation, while traveling to horse shows or attending local events. It has 8 beautiful and comfy stalls and a wash bay. You can also turn your horse out in the pasture so they can kick up their hooves and stretch those tired legs after being in the trailer. 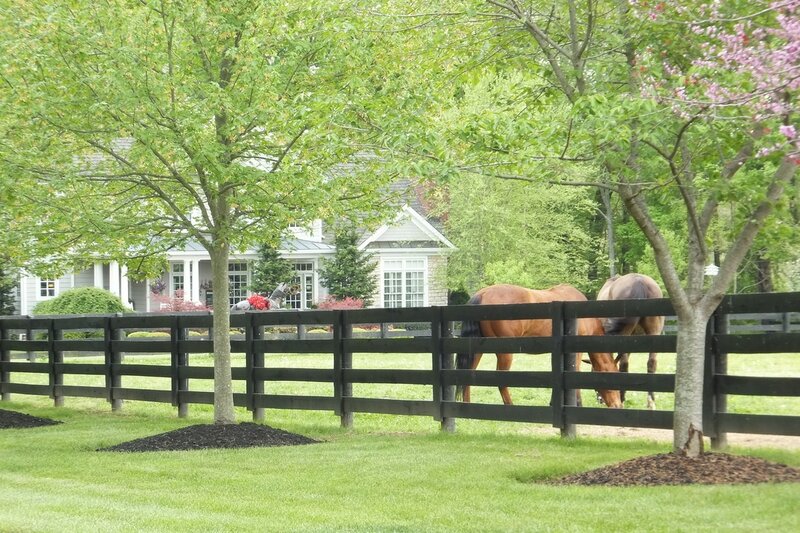 Our horse boarding facilities near Louisville, KY allow you to enjoy the finest in Kentucky trail riding. Many area farms and parks provide horse trails for your enjoyment. We also have 25 miles of private trails accessed directly from our property and run along Harrods Creek which run throughout L'Esprit where you can see all of the beautiful Horse Farms. Please note that for those stabling their horse(s), Negative Coggins & a current health certificate(s) must be faxed at the time of reservation. We know you are as interested as we are in ensuring the safety of our equine family members. We also require that all riders sign waivers for boarding and trails.